This corner complex includes: 3 telescopic stands and 2 ladder fillers. Ajustable from 700mm to 1 mtr high. Click here to buy. 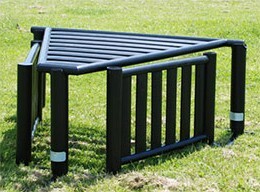 For help with any of our show jumps please contact us.